A couple weeks ago, we received a tip so perverse we almost didn’t put it up on the site. You remember what it was: “Goldman just cut free water/soda for employees.” The very thought of Goldman Sachs not offering freebies to its already handsomely compensated employees who could easily afford to buy their own Coke/drink from the tap made us all sick to our stomachs. But we got through it, together, because we deluded ourselves into to believing the whole thing was a baseless rumor spread by LEH, eager to start a bear raid so they could scoop up GS on the cheap (or, more plausibly, by Cayne and O&apos;Neal from Maury Povitch&apos;s mom’s basement, originating from a mean bout of cotton mouth. “Goldman, man, those fuckers wouldn&apos;t give us a drink if we were dying in the Sahara and they were out dune-buggying and needed to take a leak.”) Today, the Post shattered that hope, confirming that Goldman removed the “drink bins” scattered around the trading floors at 85 Broad and 1NYP (they also confirmed our tip about GS London scaling back car service hours). *This image is slightly misleading in that this is how you’ll find Carney on any given morning. 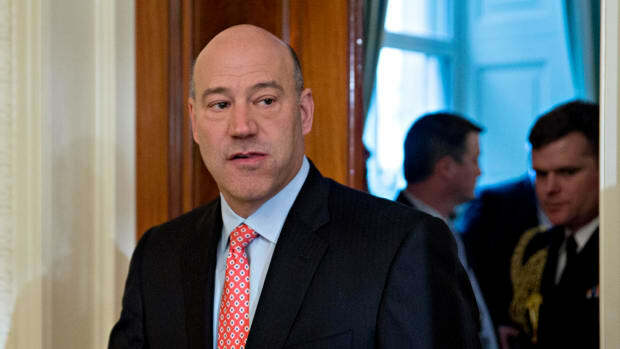 But today, his tears factor in Goldman’s pain.